The Sherlockian Ramblings of Paul Stuart Hayes: Lost Sherlock Holmes Story Unearthed? Lost Sherlock Holmes Story Unearthed? First we had the discovery of William Gillette's 1916 film, 'Sherlock Holmes'. Now an unknown Sherlock Holmes story written by Sir Arthur Conan Doyle seems to have surfaced. It appears Conan Doyle wrote 'The Brig Bazaar' as part of a fundraiser to save Selkirk Bridge which was destroyed two years earlier by the great flood of 1902. 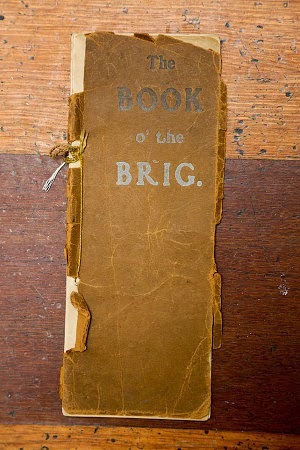 The short story (1,300 words) appeared in 'The Book o' the Brig,' a collection of stories penned by Conan Doyle and local writers. The book has resided in a local historian's attic for the last 50 years and it will be on display at Selkirk's Community Museum from Saturday, if anyone is in the area. Editors have only to speak and it is done, at least, they think so. 'Sherlock Holmes!' As well talk of interviewing the Man in the Moon. But it does not do to tell Editors all that you think. I had no objections whatever, I assured the Editor, to buttonhole 'Sherlock Holmes,' but to do so I should have to go to London. 'In my heart, Holmes,' said Watson.